[Taipei] It will be a travesty to leave Taipei without trying a cup of bubble tea, or maybe more. Bubble tea… the name itself is refreshing. The flavorful milky drink, the fragrance of the tea leaves, right amount of fruity zest, and those chewy tapioca pearls. Once upon a time, it would seem weird to find edible balls within a drink, but the Taiwanese have made it possible. It won’t be wrong to call the famous Taiwanese tea the national drink of the country. Taipei, popular for its delicious street food and vibrant nightlife, has plenty of spots where you can enjoy a cup full of boba. 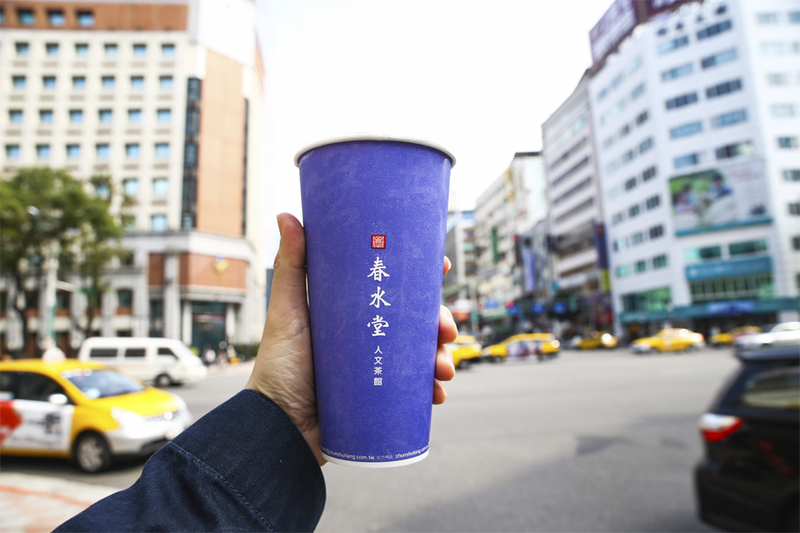 Claiming to be the first ones to create Taiwanese style pearl milk tea, Chun Shui Tang 春水堂 was founded by Liu Han-Chieh. In early 1980s, he made a visit to Japan and liked the idea of coffee being served cold. When he came back, he decided to serve the traditional Chinese tea in a similar style. Chun Shui Tang has 13 locations in Taipei alone. I happened to visit the one located in Shinkong Mitsukoshi in Xinyi District. The tea house has a vintage air about it that will make you feel right at home. Unlike some more modern kiosk, Chun Shui Tea which is literally translated as “Spring Water Hall” retains its Chinese teahouse element and experience, while selling its signature icy cold tea and frothy tea latte. I opted for the highly recommended Iced Mango Pearl Coconut Milk Tea (TWD125, SGD5.60 for small) that turned out to creamy and sweet with tender pearls. As for the original Pearl Milk Tea (TWD85, SGD$3.80 for small), personally it was not my favourite but I can imagine why so many people would like this tea. You could taste the high quality tea leaves used, which had a lingering fragrance and pleasant slight-bitter taste. Known as KOI in Singapore and several countries outside of Taiwan, the bubble tea brand is called “50 Lan”. They have more than 50 branches around, and it is not difficult walk through the city streets to find a branch – with its bright yellow signage with sky blue logo. The tea place has five categories, namely tea, jelly, milk tea, juice, and latte, through which they whip up numerous combinations. What I liked was the availability of mini-pearls, which made chewing more ‘fun’. 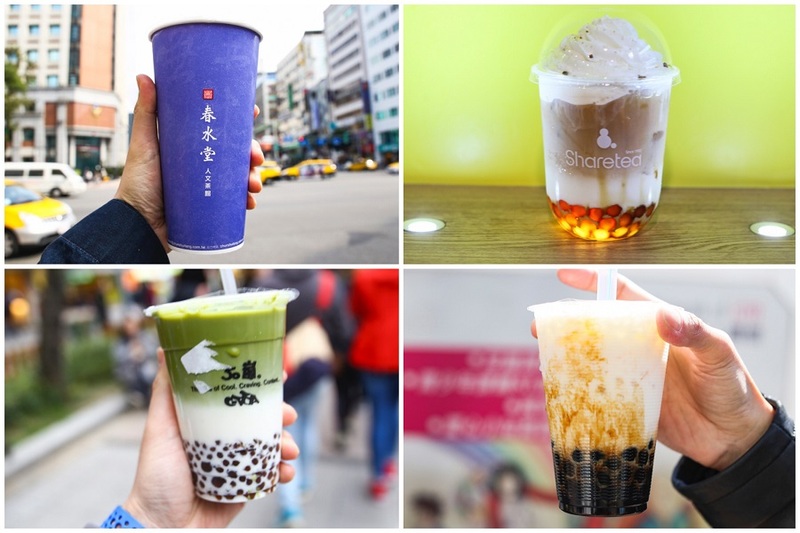 The top drinks are Light Oolong Tea with Bubble & Coconut Jelly (NT$30, 40), Matcha Latte with Big Bubble (NT$50, 60), Tea Macchiato (NT$40, 50), Oolong Milk Tea (NT$40, 50), Tea Latte (NT$50, 60), Light Oolong Milk Tea (NT$40, 50), and Plum & Kumquat Juice (NT$40, 50). You can often find seasonal specials. All priced affordably. 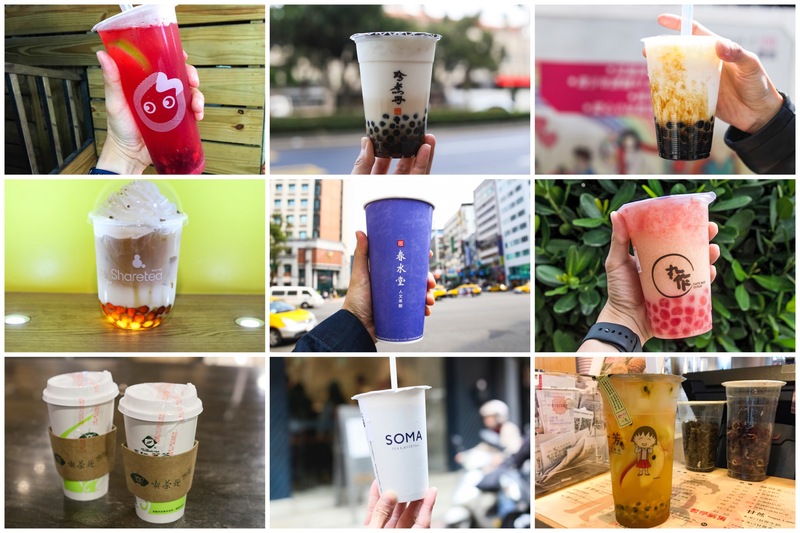 As one of the most popular bubble tea brands in Taiwan, Share Tea has more than 90 outlets in the country with a strong base of loyal patrons. They have been operating since 1992 and according to the tea expert, all their drinks are made from premium quality tea leaves and fresh ingredients. Some of their branches in more central city areas, have revamped with a more upmarket look (and price). Their bubble tea staff don smart denim uniforms and there are even photo booths to cater to the Instagram generation. 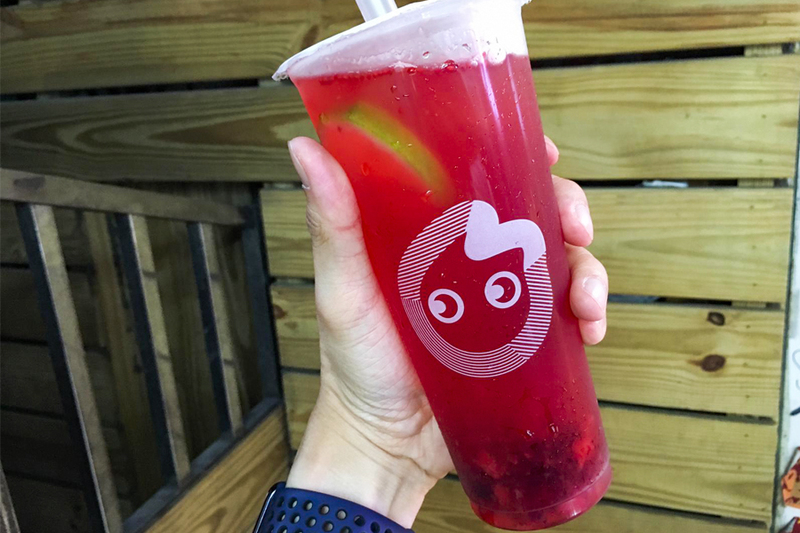 Their recommended drinks include Assam Black Tea (NT$80), Ruby Black Tea (NT$90), Strawberry Mojito (NU$75), Dongding Oolong Tea (NT$75), and Whole Fruit Tea (NT$85). 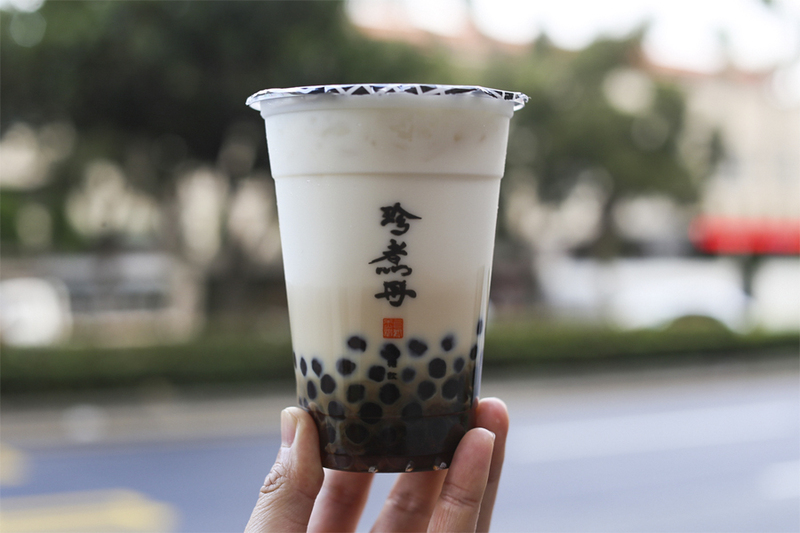 If you are lost, get the Classical Pearl Milk Tea (NT$65), with the right amount of sweetness, and pearls with the perfect chewy consistency. Ten Ren’s Tea is a Taiwan-based company renowned for their tea and ginseng products. Featuring full length glass doors, minimalist decor with an oriental approach and several tea characters hanging from the ceiling, the tea house follows a cultural theme of ‘peace’. 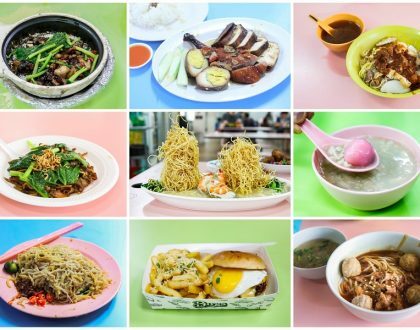 Signatures include Black/Green Milk Tea with Pearls (NT$50, 60), 913 King’s Oolong Milk Tea (NT$60), Taro Green Milk Tea (NT$70), Dark Oolong Latte (NT$90), and Orange Green Tea (NT$70, 90). Ten Ren serves tea beverages and deserts prepared from ingredients of high quality. I find that their bubble tea has a particular tea fragrance that is very appealing, and they may not have as many exciting variants as compared to the ‘younger’ brands. Their drinks also taste the ‘healthiest’ and are not too sweet. 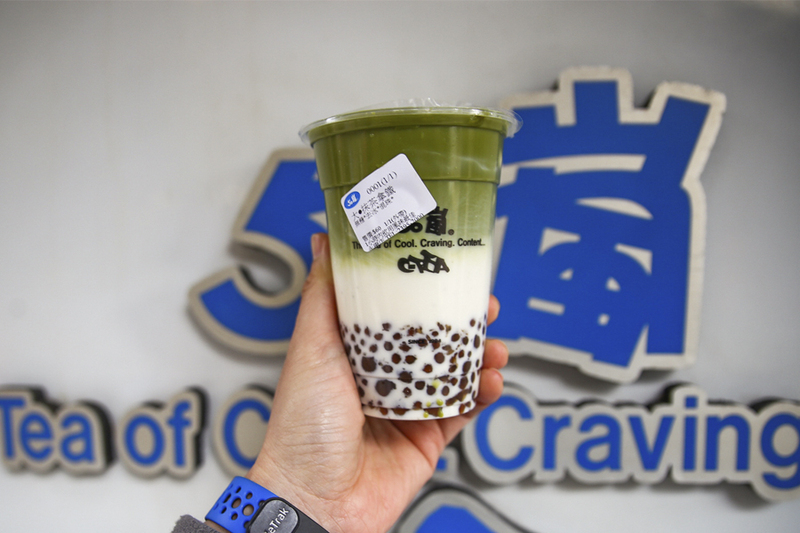 Located a short distance from Gonguan Night Market, Chen San Ding claims to have the best bubble tea in the city. I am certain many do not disagree with that. Have recommended a few readers, and they all gave a thumbs’ up to this. All right, but you will be surprised to know that Chen San Ding’s bubble tea has no tea in it. It is purely milk-based. 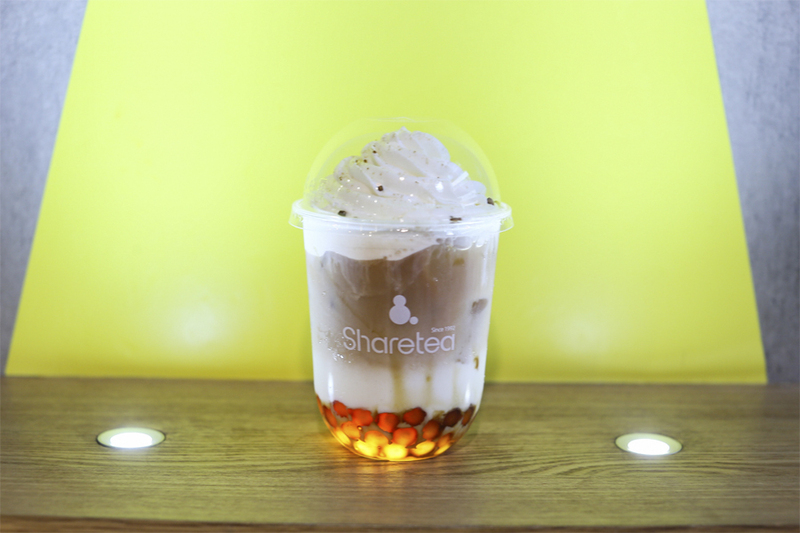 For NT$40 (SGD1.80), you get a cup filled with warm and sweetened boba pearls cooked in brown sugar, caramel, and cold milk with optional ice. The tapioca pearls are cooked on the spot in brown sugar, giving them the soft texture and lingering sweetened and caramalised taste. If you are not worried about expanding your waistline, their Ai Yu Glass Jelly, Brown Sugar Glass Jelly, Lemon with Pearls and Green Bean with Pearls are also worth a try. 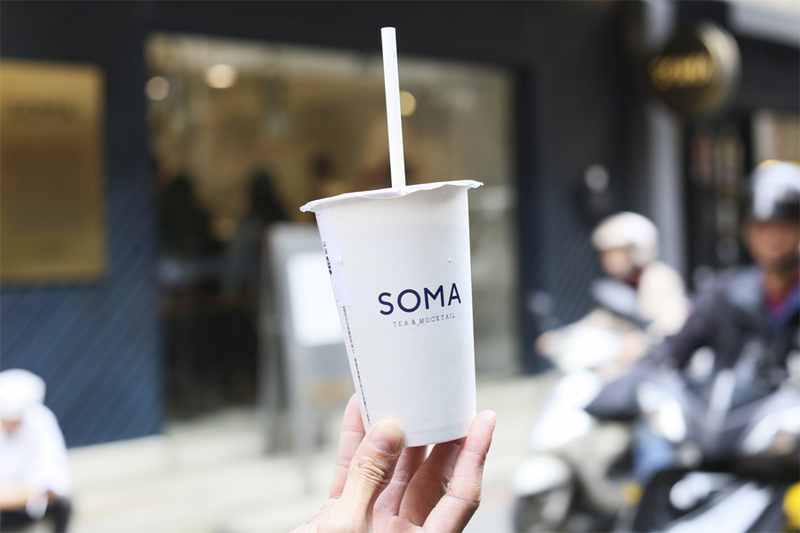 Soma Tea and Mocktails is a relatively new tea brand in Taipei, slightly under-stated and classy, and quietly found itself to fame for bubble tea lovers. 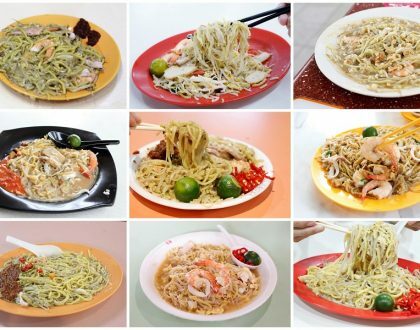 The most convenient branch is at Yong Kang Street. Seats are limited though it would be nice to get a place by the window and sip on the milk tea. Recommended drinks include Black Sesame (NT$60), White Almond Milk Tea (NT$60), High Mountain Milk Tea (NT$60), Nespresso Milk Tea (NT$90), and SOMA Essentia Milk Tea (NT$90). Tea leaves used come from Sri Lanka, Taiwan and India. My Black Sesame & Walnut Milk Tea was rather rich and creamy. I had chosen the smallest size and it left me completely full. I will definitely go back to try some other teas. 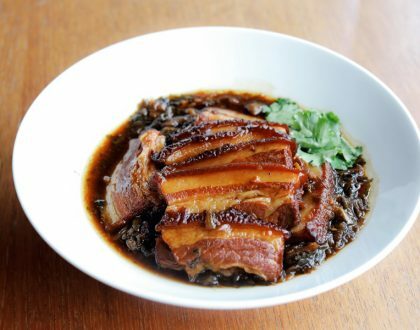 Located close to MRT City Hall Station, Jenjudan is a must-try if you want a sugar rush. 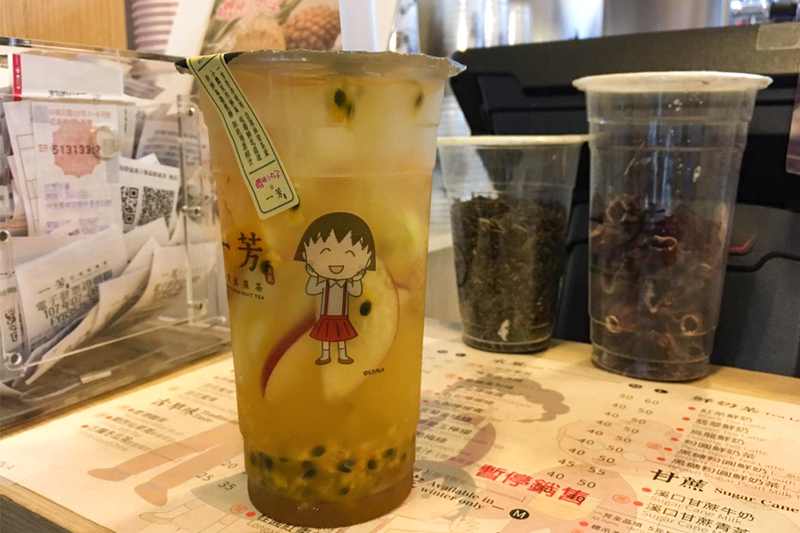 Jenjudan’s bubble tea is bursting with boba pearls, creamy milk and melted dark brown sugar, a soul-refreshing, fulfilling goodness in a cup. 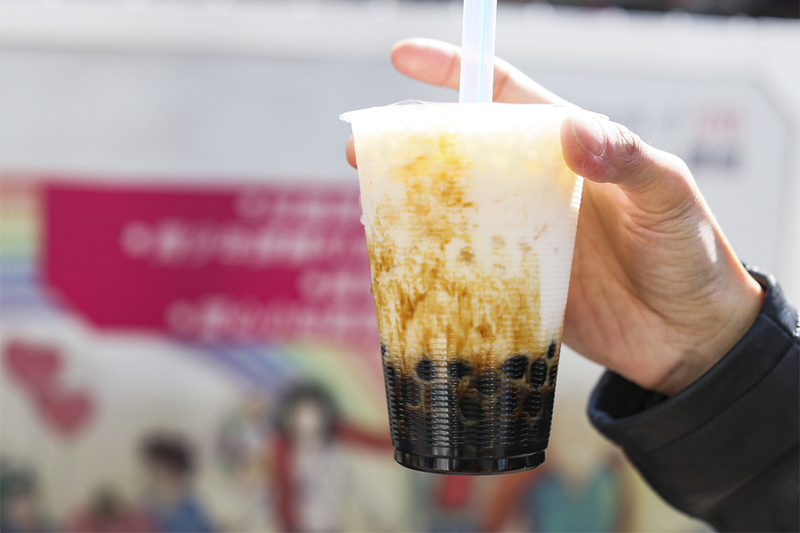 Based on brown sugar and milk, Jenjudan’s bubble tea was rich and heavy. The pearls were soft and tender, and a stress-reliever to chew on. Signatures included Black Sugar with Glass Jellyu/Green Bean (NT$35), Black Sugar with Lemon (NT$40), Red Tea with Lemon (NT$45), to Chocolate Latte (NT$50, NT$70). One thing to keep in mind is that their teas are much more sugary than other places in the city. If you can’t handle too much sweetness, you might want to skip it. 丸作 is pronounced as “Wan Zo” and not “Jiu Zo” (九作). Probably the first in the world with live-making process of the pearls, the pearls are made hourly on the spot using all natural ingredients with no artificial flavouring added, right in front of everyone behind the glass panel. You get different flavours for the pearls, such as Pink Cactus, Black Sesame, Burnt Caramel and White Pearls, and the entire pearl-making process will take about 30-45 minutes. 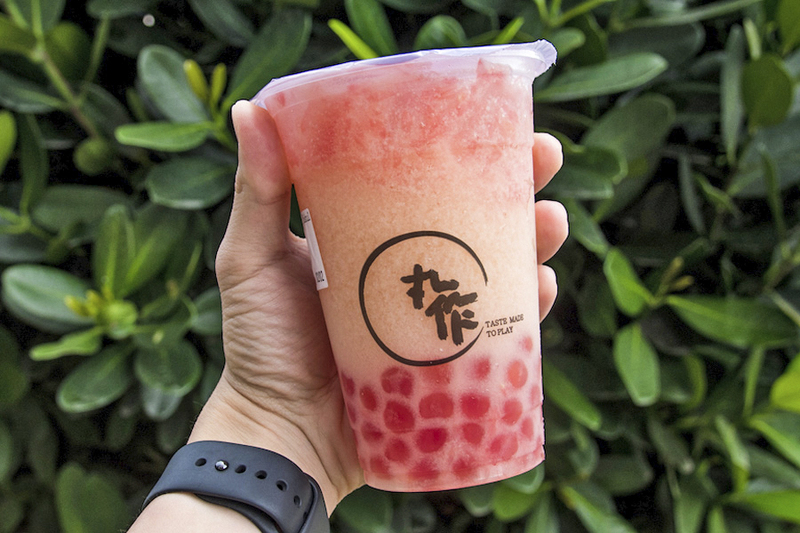 The Pink Cactus Pearls is said to be made from the pink cactus found in “Penghu” of Taiwan, the Pink Cactus pearls have a slightly citrusy and sourish taste, which goes well with the Fresh Fruit series of drinks. Tip: They even have Pokémon shaped bubbles (though I am not sure if it is a seasonal special). Ideal for fruit lovers and lively personalities, Yi Fang Tea revitalizes you with its array of zesty bubble teas. The highly popular franchise has various branches all over the world including Canada and Philippines. This is when you want to take a break from the regular milk tea and delve into a refreshing cup of blissful fruitiness and citrus goodness. Some of their best beverages are Passion Fruit Green Tea and a personal recommendation would be the Sugar Cane Mountain Tea. 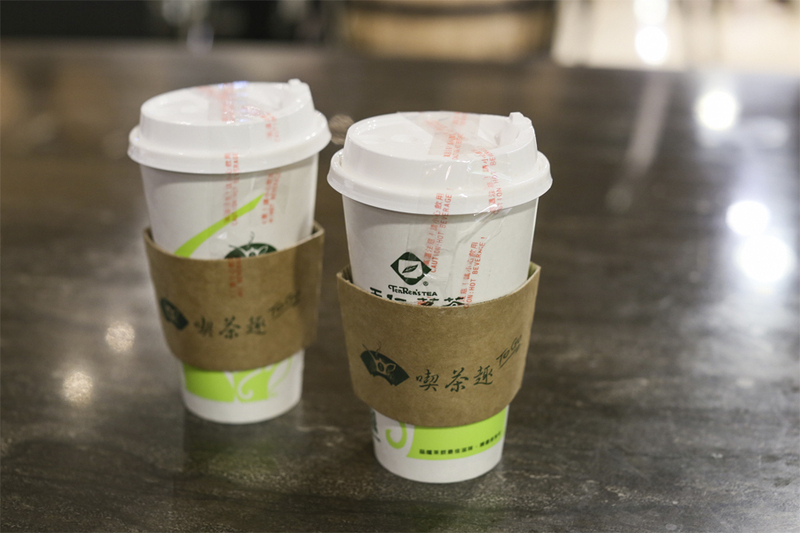 Coco is one of the most popular takeout tea brands in Taiwan with over 2000 franchises worldwide. Choose any seasonal fruit, add apples, pearls, and coconut jelly, and watch your drink being prepared. Apart from everyone’s favorite classic bubble tea, I enjoyed the fruity tropical tea with bits of passion fruit and black tea with a whipped salted cream. According to your taste preference, you can adjust sugar and ice levels, and would suggest going for a lower level of sweetness.